The Meeting was originally exhibited at the 2007 G-8 summit meeting in Heiligendamm, Germany. 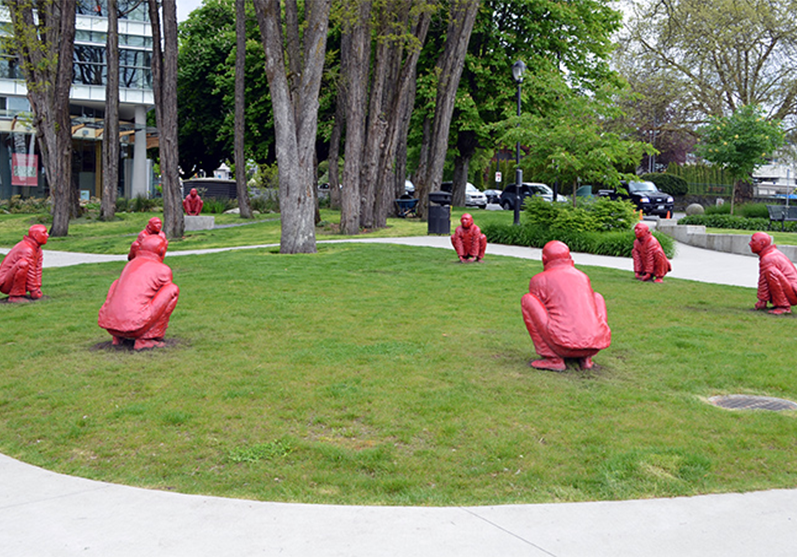 It is not without irony that the red figures are placed in a circle, static and crouching with cupped hands, open to various interpretations, from one of thoughtful contemplation to one of latent energy ready to leap up. 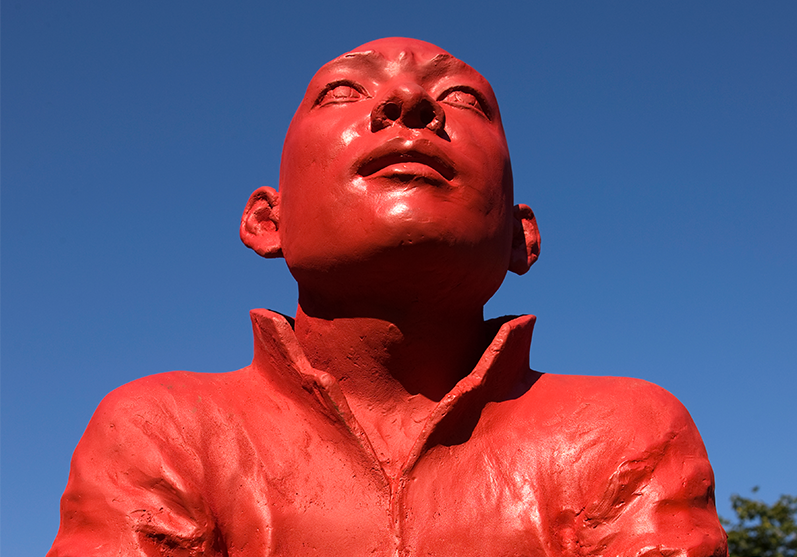 Wang Shugang’s installation for the Vancouver Biennale, The Meeting, is painted a shade of red that is known as Chinese Red, the colour associated with the Chinese government and communism. This hue ranges from a vivid red to a red-orange made from Vermilion, sometimes referred to as cinnabar. 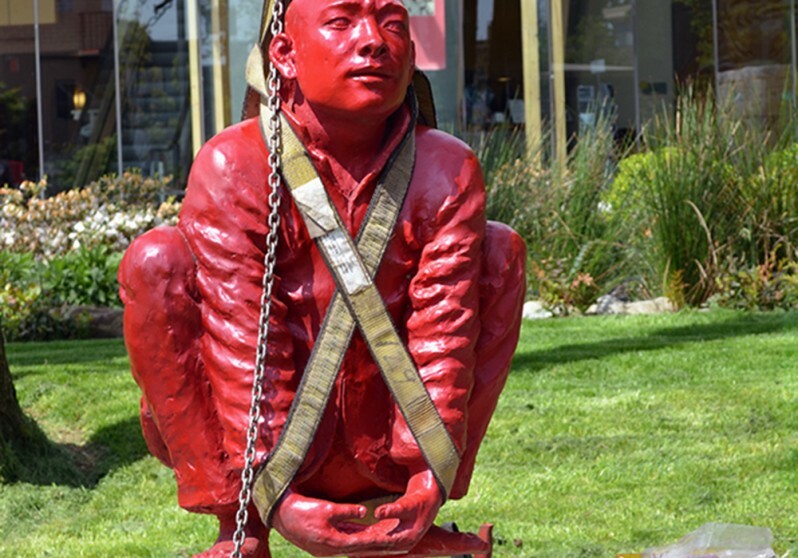 According to the artist, “… the colour red has multiple cultural meanings in China, historically representing happiness but during the Cultural Revolution it symbolized terror. Today red is the colour of the faded lettering praising Mao on the ceilings of the factories, coats of the Buddhist monks and the colour of wedding decorations”. 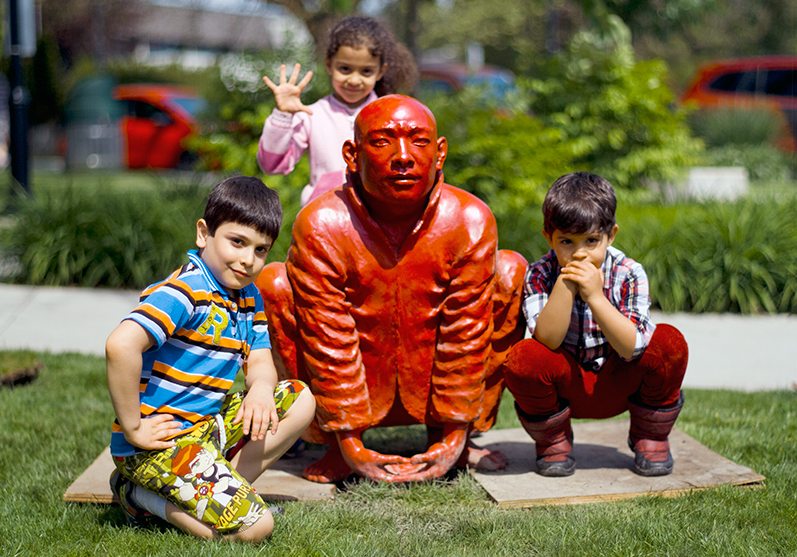 Wang Shugang made his North American public art debut as part of the 2009 – 2011 Vancouver Biennale exhibition. The Meeting is currently on loan at the Montreal Museum of Fine Arts for La Balade pour la Paix: An Open-Air Museum exhibit until October 29, 2017, and can be seen along with many other celebrated public works of art on Sherbooke Street. 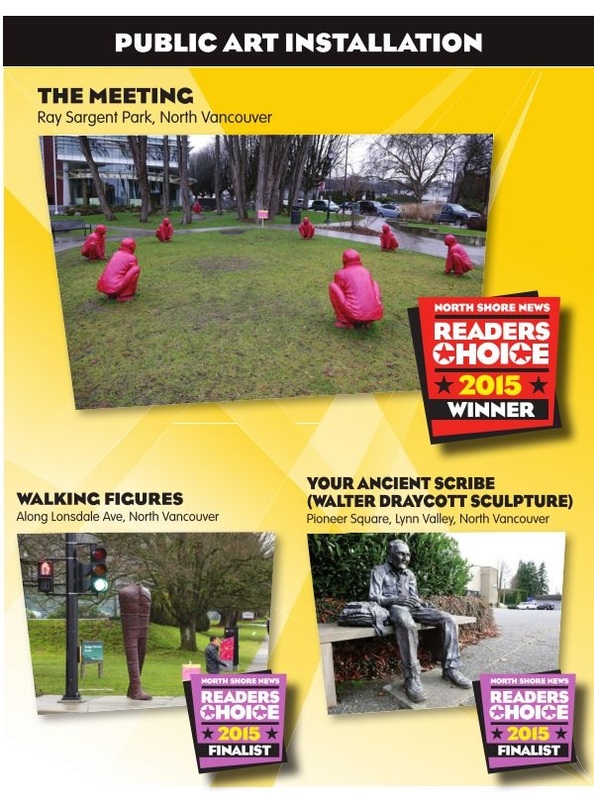 North Shore News Readers’ Choice 2015 winner!